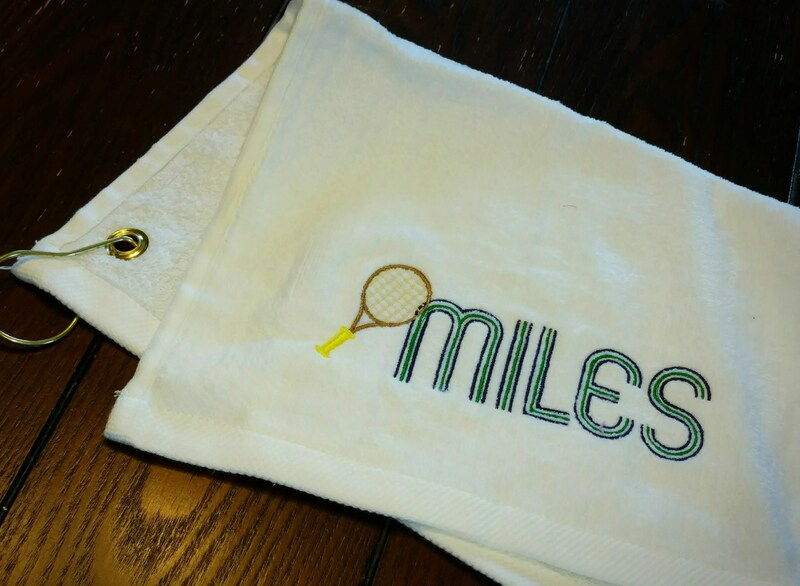 Tennis towel featuring retro font name in 2 colors with tennis racquet. Size of name dependent on length of name/characters in name. 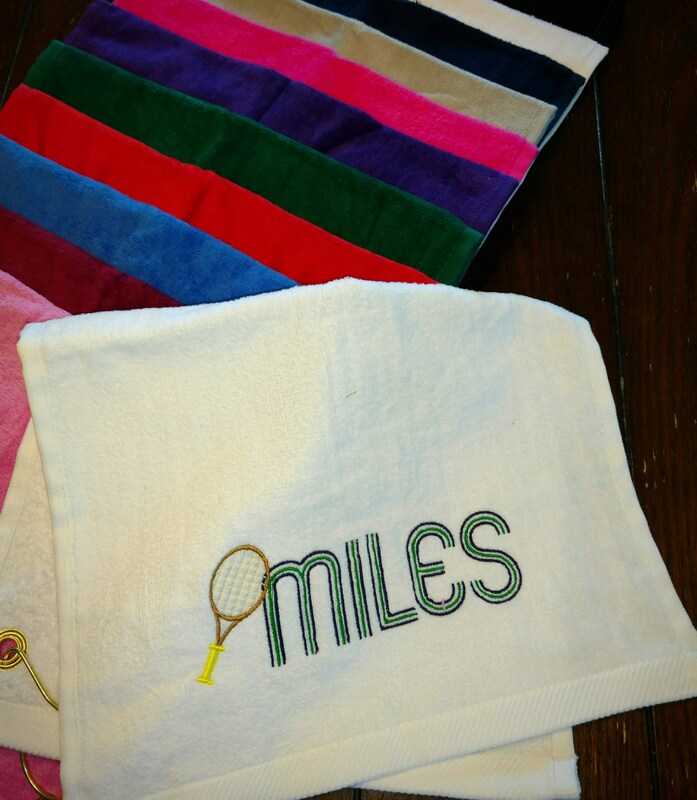 Customer selects towel color and embroidery colors. Please Note: Available in stock colors will be reflected in the pull down menu. Additional sizes of sports and/or grommet locations available. Please message me for additional information. For alternate placement, please make note at checkout. I am happy to create custom listings for customers who wish to order multiple towels. A custom listing will enable combined shipping. For a shipping quote, please send your desired quantity along with zip code for an exact quote. All orders are shipped based on weight and size of packaging. If you are looking for a similar design or would like inquire about a custom design please send a message and I will get back to you promptly. 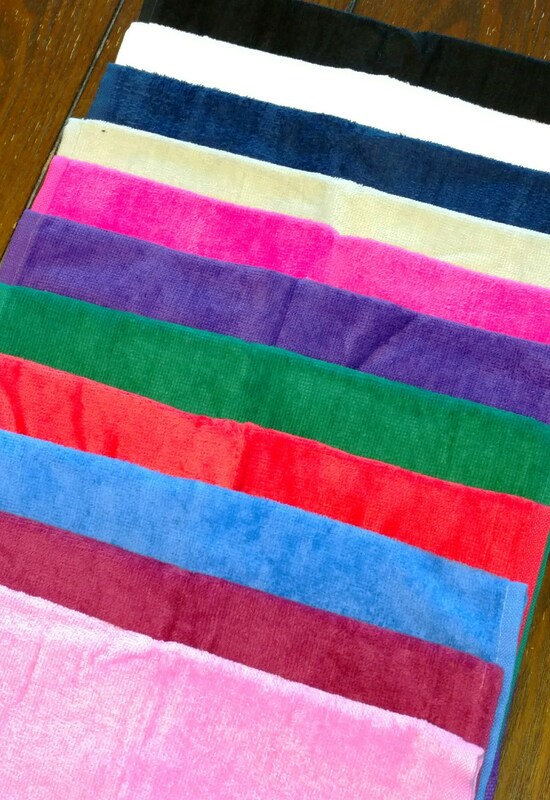 For best results, I would love to know more about preferred towel color(s), embroidery color(s), design, intended purpose and such so that I can best know your exact needs. In first drop down menu select your color of choice. Second drop down menu select "1 Towel"
In both drop down menus, select the "2 Towel or 3 Towel" option. Then in a message at checkout, leave towel colors of choice. After purchase, a jpg proof for each design will be supplied to buyer for confirmation prior to stitching. Thank for you taking the time to look at my personalized towels, I have many other designs available in my Etsy Store or I am willing to customize based on your needs!